Giveaway Time! - Polish This! 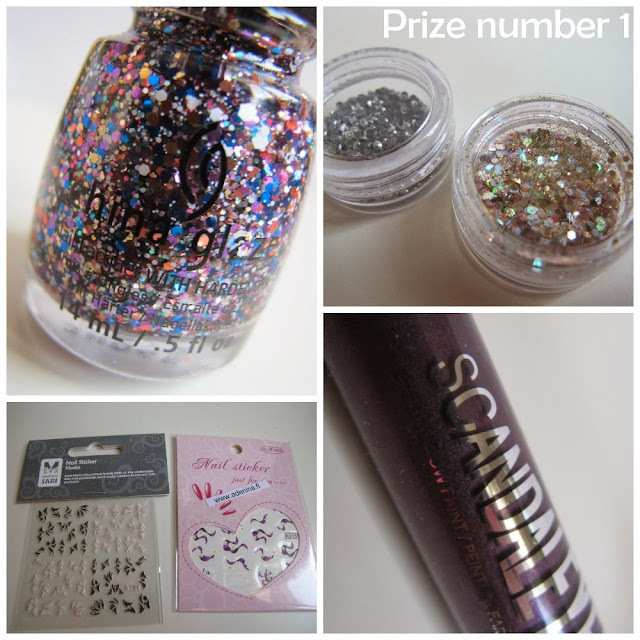 I haven't had a giveaway here in my blog for a while, so I decided it was about time to have one! I hope you guys like the prizes! Once again they aren't huge, but hopefully there's still something you guys enjoy! I got couple things sponsored for this giveaway from Adenina and I also included couple things that I got from our meeting goodie bag as I though someone else might have better use for those products. And then the rest I have bought myself. In order to participate you have to follow my blog either via Google Friend Connect, Bloglovin or with some other method. You get one entry by participating to the giveaway, but you can also get extra entries too by advertising this giveaway, but this is totally voluntary. You also have to give me your email address, answer the one question about your favourite nail polish brand this year in order to participate and choose which one of these two prizes you'd rather win. If you only want to win one of these prizes and you don't want to win the other one for some reason, please say so in the comment form. 2. 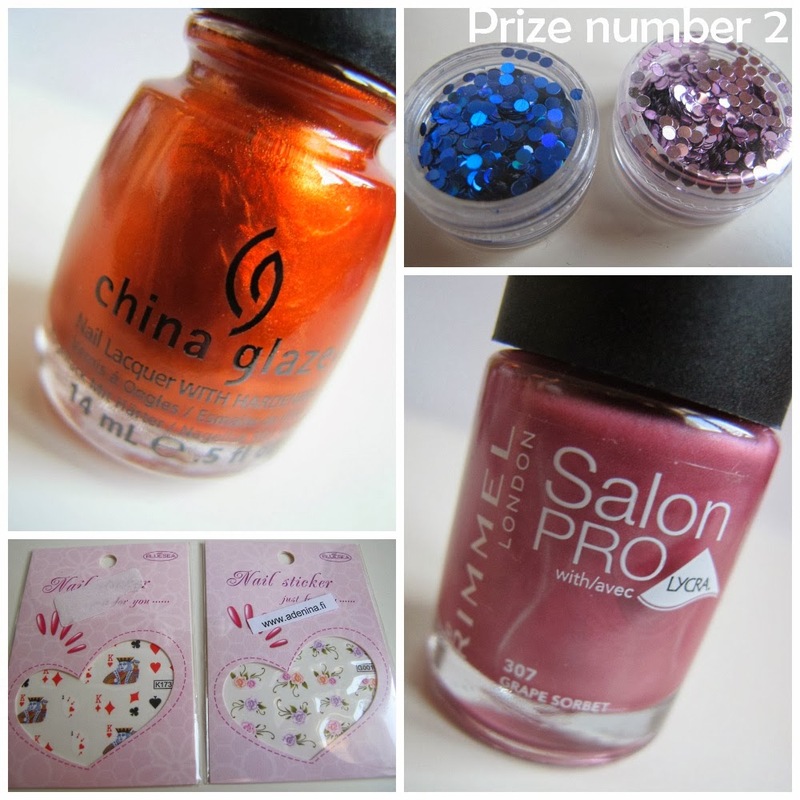 You have to choose the prize you'd rather win and you also need to name your favourite nail polish brand of this year. 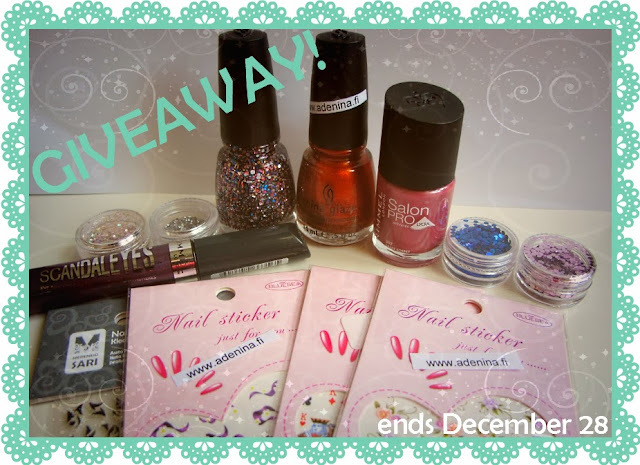 This giveaway will end on 28th December 2013 at 9PM (EEST).